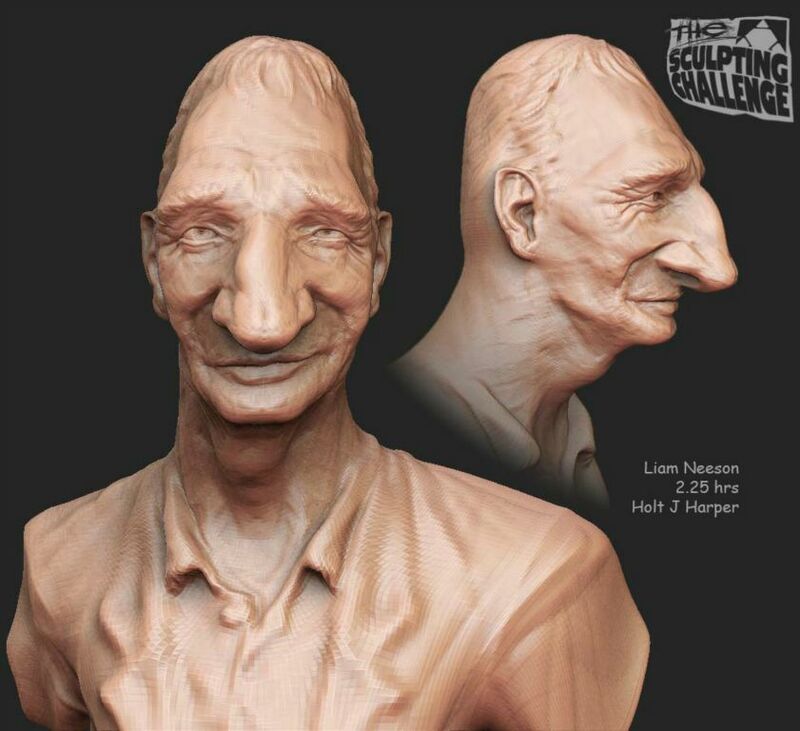 When I have time for it, I like to participate in 3d modeling challenges. I find that when I set myself a goal I can learn a lot in a short period of time. 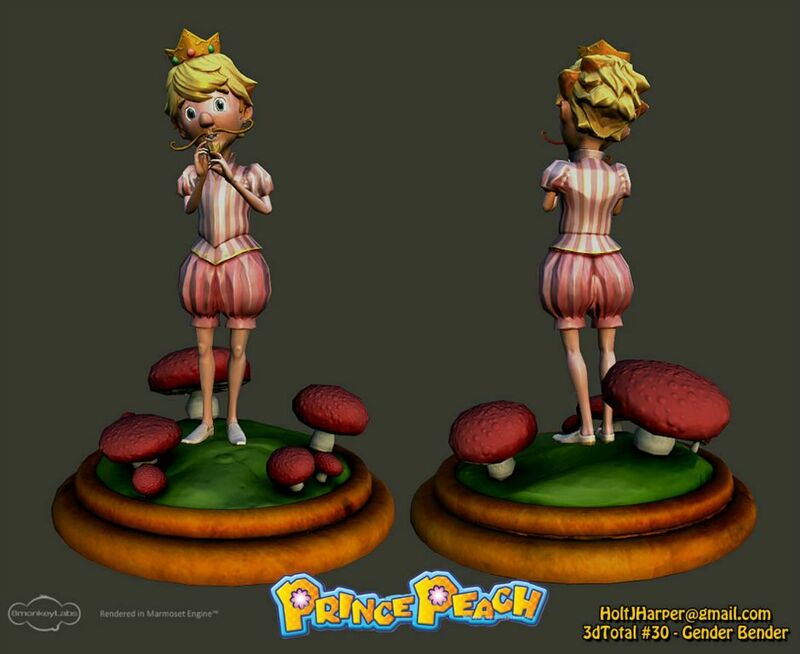 Originally the goal was to create the pair of Mario and Peach gender swapped, but as time ticked down, the foppish Prince Peach was a way more interesting character than my Rosie the Riveter inspired Maria. I placed second in the competition. 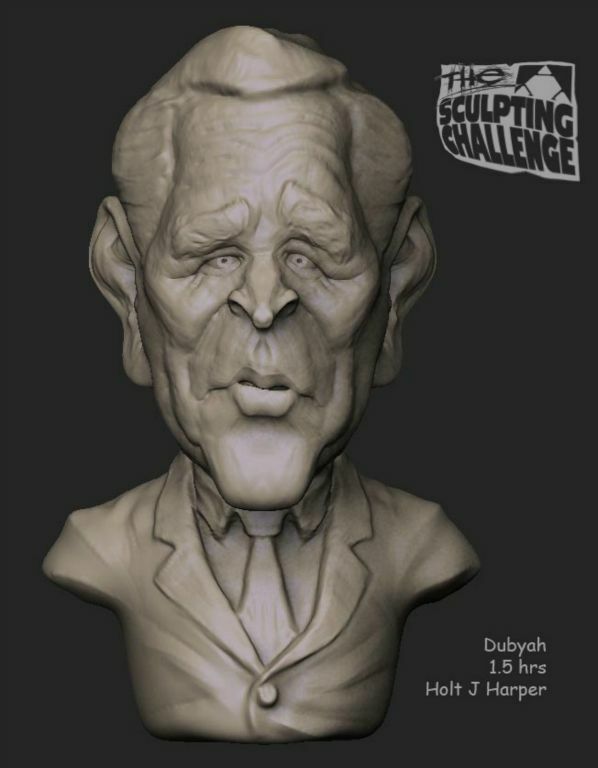 For this eight hour timed sculpting challenge, I came up with a strategy of limiting myself to making several sculpts in a short amount of time and then choosing one to focus on. In the case of Runner I feel I hit upon something that looked like it came from the mind of HR Giger, who I consider the master of the biomechanical genera. 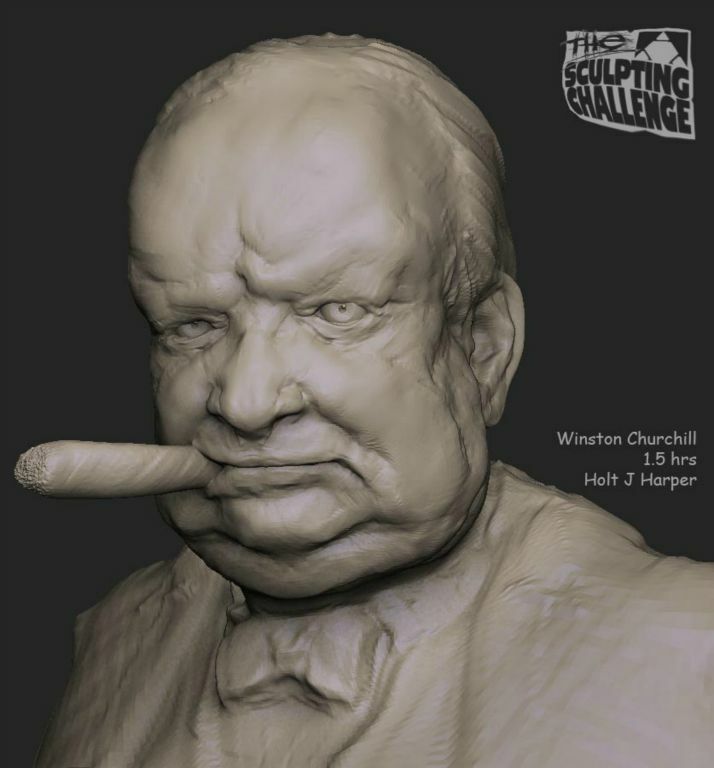 For this four hour timed sculpting challenge, I busted out several quick caricatures and since I liked all of them, I asked around to see which one got the best reaction. Deep in the midst of the Star Wars prequels, poking at George was the clear favorite. As is usually the case when I set out to make caricatures, some of these are too close likenesses. I placed third in the competition. 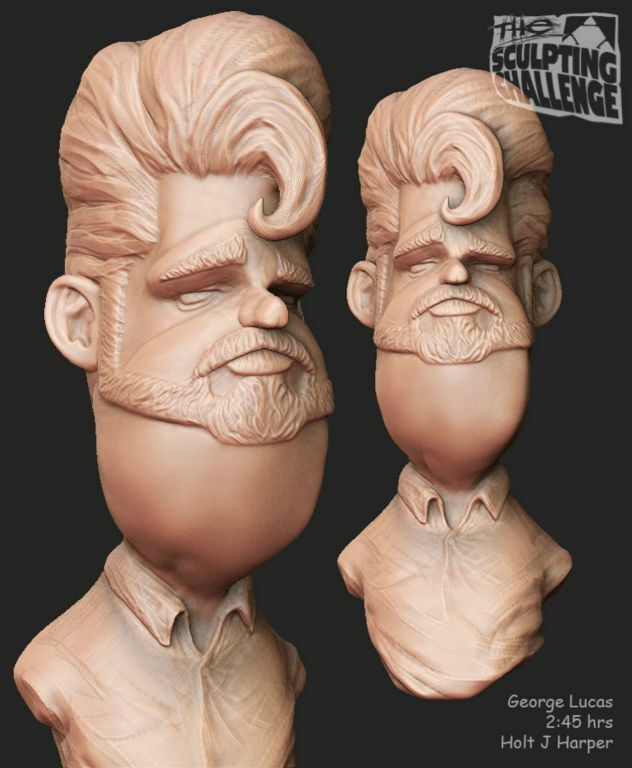 This was one of the first timed sculpting challenges I entered. 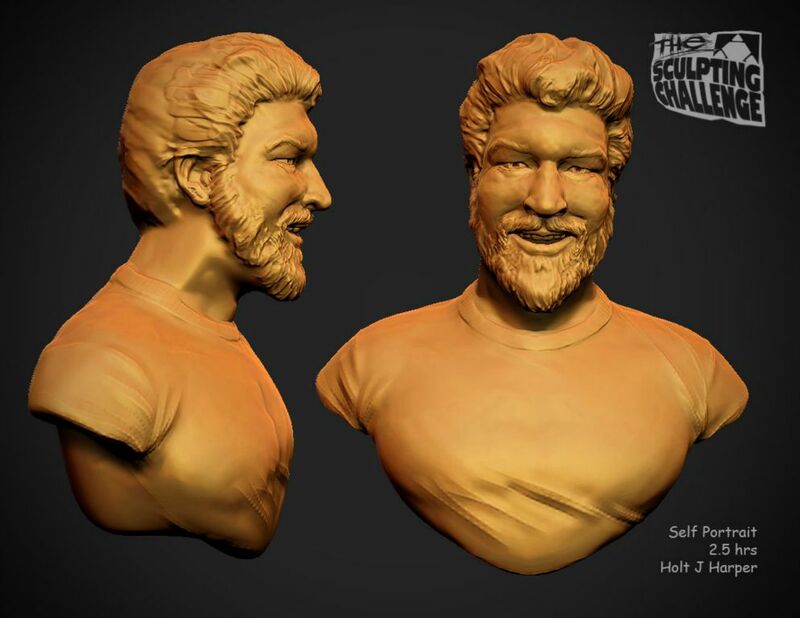 It's been a while… It may be about time to do another Self Portrait.